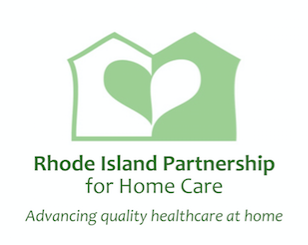 The Rhode Island Partnership for Home Care developed its RIPHC Endorsed Business Solutions (EBS) Program to link vendors of great products and services to quality home healthcare and hospice providers. The goal of the EBS Program is to provide RIPHC members with more information about some of the benefits in which they have access to either receive savings on products and services in which they already purchase, provide continuing education for direct care staff and agency administrators, offer business efficiency solutions and inform about products and services that may help agencies retain patients and clients. All of these business solutions are available to all levels of RIPHC membership. However, any discounts offered are exclusive to RIPHC members. All EBS Program Partners verify each organization for their current RIPHC membership status prior to offering any discounts. Many RIPHC members utilize one or more EBS Partners for their product and service needs. Some RIPHC members receive savings that are beyond their annual RIPHC membership fee. For more information about the RIPHC Endorsed Business Solutions Program and its Partners, please view the list below or contact [email protected] for more information. ACHC is a non-profit accreditation organization that has stood as a symbol of quality since 1986. The organization has CMS Deeming Authority for Home Health, Hospice, and DMEPOS and a Quality Management System that is ISO 9001:2008 certified. Providers choose ACHC because of its personal Account Advisors, realistic standards, competitive pricing, and friendly, consultative approach to accreditation. Since 1981, ElderCare of RI, LLC and Goldman & Co., CPAs have provided financial and elder care services to elderly family members who are having difficulty with the financial issues facing them. Caring for a loved one often involves health and medical concerns and often financial issues will come into play. 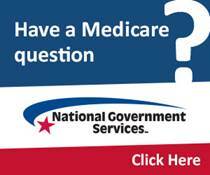 This may simply mean paying bills and reconciling the checkbook, or the issues may be more complex. Harpers Payroll Service is New England’s leading independent provider of payroll, human resource and time and attendance services. With over 48 years of experience, Harpers has established a track record of excellence in delivering personalized customer service and flexible easy to use software, all with an eye toward saving our clients money. In addition to payroll, HR and time & attendance, Harpers can assist employers with all aspects of human capital management including: benefits, performance management, 401k, COBRA, employee handbooks and much more. Home healthcare and hospice agencies face unique challenges from collecting field employee’s time to integration with enterprise systems like Allscripts, McKesson, Hometrack and more. Harpers has solutions for it all! Home Healthsmith believes that freedom and peace of mind are the greatest gifts they can o­ffer their customers. They provide mobility and safety along with the assurance of maintaining your client’s dignity, despite any physical limitations. Imagine the piece of mind that comes for a client knowing that their home can be changed to accommodate your client’s needs. With more than 30 years of experience in the accessibility and mobility industry, Home Healthsmith understands that the stress of living with a disability can be overwhelming. Home Healthsmith provides innovative in-home solutions that allow your clients to maintain their level of comfort without compromising their health and safety. iNeedHomecareNow.com helps home care agencies have a competitive edge in reaching new consumers, especially private pay clients, through their tried and tested online search method. This dynamic online tool positions agencies to better market their services offered. It is an online search, match and select home care agency network that is designed to increase your business by helping you connect with private pay consumers. After subscribing and listing your services through iNeedHomecareNow.com, your agency can be reviewed and contacted by families that require home care. This online tool reduces your agency’s time and expense in finding pre-qualified clients and help consumers reach you directly by encouraging positive consumer-agency dialog that benefits you and the consumer by turning leads into clients. iNeedHomecareNow.com’s sophisticated tracking system provides you information about consumer visits to your agency’s listing on a day-to-day basis. Integral Network Services provides 24/7 support of Healthcare IT infrastructures as well as fully staffed Unlimited Help Desk for Healthcare related practices. Areas of support include: EMR/EHR System Infrastructure; HelpDesk; Email solutions; Printing/Scanning Management; Remote access; VPN Networks; Data Storage/Backup and Network Security. By understanding the critical nature of Healthcare related applications, Integra can provide HIPAA Compliant technology practices. Such practices enable providers to focus on delivering patient care without having to worry about the underlying IT infrastructure that supports them. With years of Healthcare IT experience, Integra's continued work in this area has helped them stay on top of new technology trends and industry issues. MegaNet is a leading provider of Internet, Voice, and Data services here in the Northeast; they have been working with business clients since 1996. Locally owned and operated with offices in RI and MA, throughout their history MegaNet has worked with many various types of healthcare-related industries, including medical offices, hospitals, and rehabilitation centers among others. They are very much aware of the privacy and security mandates these types of clients face, and can assist them with finding secure, budget friendly solutions to help them stay connected with their patients and clients. Secure Internet access, hosted phone systems, and encrypted data backup are among many services MegaNet can offer to help your office stay connected and productive. Provista is the smart choice for home health and hospice care providers. With Provista as your group purchasing organization, your home health agency can dramatically reduce costs and increase profitability — without membership fees or long-term commitments on the same products you’re currently purchasing today. You’ll gain access to the most comprehensive contract portfolio in the nation through Novation, Provista’s supply contracting company. No other GPO gives you a better combination of broad product choice and lower prices. Every year, Provista non-acute members receive an estimated average of 12-15% in supply chain savings. vitaphone e-Health Solutions provides care management tools to do just that – by providing vital medical information in an accurate, timely and organized manner - directly to the you and the healthcare team. Whether you are providing services in transitional care where reducing unnecessary hospitals readmissions is important, in chronic disease management where early intervention and continuous monitoring are necessary, in home infusion to ensure the right dosages are administered and in private pay where your customer expects platinum level service – vitaphone services play an active role in all. Technology makes it possible – vitaphone makes it personal.